The higher authorities of Jawaharlal Institute of Postgraduate Medical Education and Research had released the JIPMER Group B & C Recruitment 2018 Notification for Group B (Junior Dietician, Speech Therapist, Supervisor Laundry, Bio-Medical Engineer, Data Processing Assistant Grade – B), Group C (Boiler Attendant, Orthodontic Technician, Pharmacist, Uro Technician) vacancies. In this notification, the officials stated that they are hiring the merit, dynamic, suitable, and skillful candidates to fill up the 23 posts for ஜவஹர்லால் இன்ஸ்டிடியூட் ஆஃப் முதுநிலை மருத்துவ கல்வி மற்றும் ஆராய்ச்சி Openings 2018. Aspirants who are interested in working in Puducherry government, they can apply for jipmer.edu.in Jobs 2018 from 3rd September to 26th September 2018. In this article, we had discussed the complete details of the Jawaharlal Institute of Postgraduate Medical Education and Research Advertisement 2018 such as educational qualification, age limit, selection process, compensation, and others. For more information about the JIPMER Group B & C Recruitment 2018, postulants have to check below sections. As on the date of applying, aspirants should have to check that whether the required qualification is having to them or not. The educational requirement is different for every vacancy. For more details check the JIPMER Group B & C Recruitment 2018 Notification. Postgraduate degree in Food and Nutrition or Food Service Management and Dietetics or Institutional Management and Dietetics from a recognized University or equivalent. One year experience as a Dietician in a hospital or Medical Institute. Degree in Home Science from a recognized University or equivalent. Postgraduate in diploma in dietetics from a recognized University or Institute or equivalent. i) Bachelor Degree in Mechanical Engineering from a recognized University. ii) Experience in Dry Cleaning/Laundry Technology from the organization of the reputed Institute (one year). 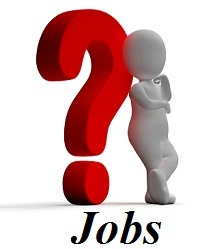 ii)Two years experience in instrumentation focusing on practical problems preferably in the hospital environment. For Group C educational Qualification, applicants can get it from the official notification. After completion of checking educational qualification, an individual has to check the Age Limit For ஜவஹர்லால் இன்ஸ்டிடியூட் ஆஃப் முதுநிலை மருத்துவ கல்வி மற்றும் ஆராய்ச்சி Openings 2018. candidates who are having the correct age limit, they can apply for JIPMER Group B & C Recruitment 2018. The higher authorities of Jawaharlal Institute of Postgraduate Medical Education and Research (JIPMER) will pay the salary for the selected contestants as per the rules and regulations of the organization. For more details check the official notification of JIPMER Group B & C Recruitment 2018. First Of all, intenders need to visit the official site of the Jawaharlal Institute of Postgraduate Medical Education and Research (JIPMER) that is jimper.edu.in. Go to latest announcement section. Search for the JIPMER Group B & C Recruitment 2018 link. Read the complete details, and if eligible apply. Save and download JIPMER Group B & C Recruitment 2018 application form. Take a hard copy of JIPMER Group B & C Recruitment 2018 for further reference. Our team Sarkari Naukri had provided the complete details about JIPMER Group B & C Recruitment 2018 which is genuine. Thank You.